In this series we’ve been surveying the prophetic scene as it is unfolding today. In the process we’ve begun to unpack the patterns of fulfillment that characterize this point in history. Last week we looked at Israel. The return of the Jews to God’s Promised Land and the establishment of the Jewish state are sure signs that we are approaching the End of the Age. But God’s prophetic fulfillment is not limited to the geopolitical but encompasses all areas of human endeavor including the economic, religious and societal spheres. 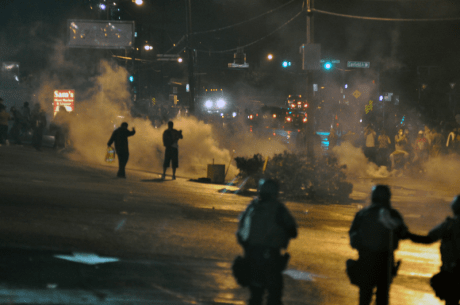 In PART III we’ll look at the role that exploding racial tension, civil unrest and Radical Islam are playing in setting up the conditions for the Last Days. We are living in a day in which chaos reigns. Laws are overturned. Standards and practices that have ungirded our culture for millenniums are being cast away in favor of a new morality declared by the wisdom of man – in defiance of the laws of God. Life is held so cheaply so as to be sold for replacement parts to satisfy the sacrificial demands of a god of pleasure and death – all in the name of ‘women’s health.’ And cities are assaulted from and by their own citizens; destroyed in the name of justice. It is a hard world to fathom. And the truth is: These occurrences are not happening by accident.